Regardless, if her art carries a chill to it, it’s a pleasurable one. In conversation, Woods comes across as a musician eager to explore ideas, open to new interpretations but careful to resist easy categorisation. ‘Colt’ is the sound of an artist stepping back into the shadows, away from the glare and the gloss, and shining brighter than ever. I’m actually in the studio today, trying to figure out how to connect synths for the live set-up. I think it’s going to be a solo show in London. Were you originally planning on it being a full-band affair? No. I fleshed out the songs with a few friends of mine. But I just feel instinctively that I’d like to do a solo show. What made you feel that the time was right to start recording and touring again? I was very young when I was in JJ72, I didn’t know whether I wanted to do music or not. I was just feeling my way along, you know? When I left that band, I went into painting for a while. So I was juggling that with motherhood, and I was also at college doing an English degree. The new music came about when I started to develop sound at home, and I was enjoying writing… but I think at some point I wanted to go back to music. I missed music when I was at the canvas, I missed sound. I had no idea how the development of that was going to happen, the songs were just asking me to record them! But yeah, I had no intention of going straight back into music after the band. I just wanted to feel my way along really. Do you look back on your time with JJ72 with much fondness now? I’d say there’s mixed feelings really. But there were definitely high points – one of those was learning how to play bass, because I was always a piano player as a child. My brothers were all in a band, and the garage in our family home was like a local rehearsal room. So I sort of picked up bass and taught myself. For people who missed your EPs in 2014 and 2016, the style of music you’re making now might have come as a surprise. Did you always know you wanted to make that kind of music, or did it come about more organically? I think it’s definitely something that came about more organically. I had been in other bands, besides JJ72, throughout my twenties. I was playing synth, and then I was playing piano again; at that stage I just wanted to experiment, and I think it started to feel more like a solo project. Was there a particular recent record you heard that inspired the shift? Not particularly. I mean, I’m currently listening to Amen Dunes’ ‘Freedom’ album, and it’s stunning songwriting. But I’m into all sorts of stuff. Even exploring the live set-up on my own, it’s exciting excavating that, because it’s all yours as to where you could take it. There seems to be a prevailing theme of aloneness vs. connectivity on ‘Colt’, and it almost feels like a celebration of solitude at times. Were those themes on your mind when you were writing the album? They weren’t so much ‘on my mind’ as that, when I think about how I went about making the record, I definitely think those themes were very present. And also because it was very much a solo project. It was a celebration of that really, and when I brought the tracks to James in Berlin, that’s how it came out. But yeah, I certainly don’t think of those things in a negative context at all – either aloneness or making a form of connectivity to the outside world. Do you miss the collaborative element of songwriting? I certainly wouldn’t rule it out, but I definitely work better on my own I think. Having been in that many bands, I think I’m just interested in exploring what I can do on my own at the minute. It’s also down to time as well – I like writing really early in the morning, and I like working late at night. They’re very anti-social hours, you know! But that’s when I have the impulses to do so. I think sometimes if you’re working introspectively, it naturally is more of a private process. Not that the music is exclusively introspective at all. I just feel that sometimes sharing those things doesn’t feel very natural. When it comes to rehearsal and fleshing it out, sometimes it just flows easier if it’s yourself. Are there lyrics on the album that deal with particular themes or concepts? I certainly didn’t write them from a conceptual place… but in saying that, lyrics are incredibly important to me. They’re certainly not an afterthought; the words are always intrinsic from the get-go. I often find that more ambient records like ‘Colt’ offer a psychological retreat of sorts from external chaos and anxiety. Is that something you’re conscious of in creating your own art? I think that anxiety can get into the body, so whether you’re confronting it head-on or consciously or not, it’s most likely in there to be processed. Anxiety creeps in. I know I’m pretty prone to it. Do you think you’ll take a break after this album cycle, or are you keen to start writing again? I want to continue writing, I’m very excited by it all. The next album could be something totally different. I’m looking forward to finding out. 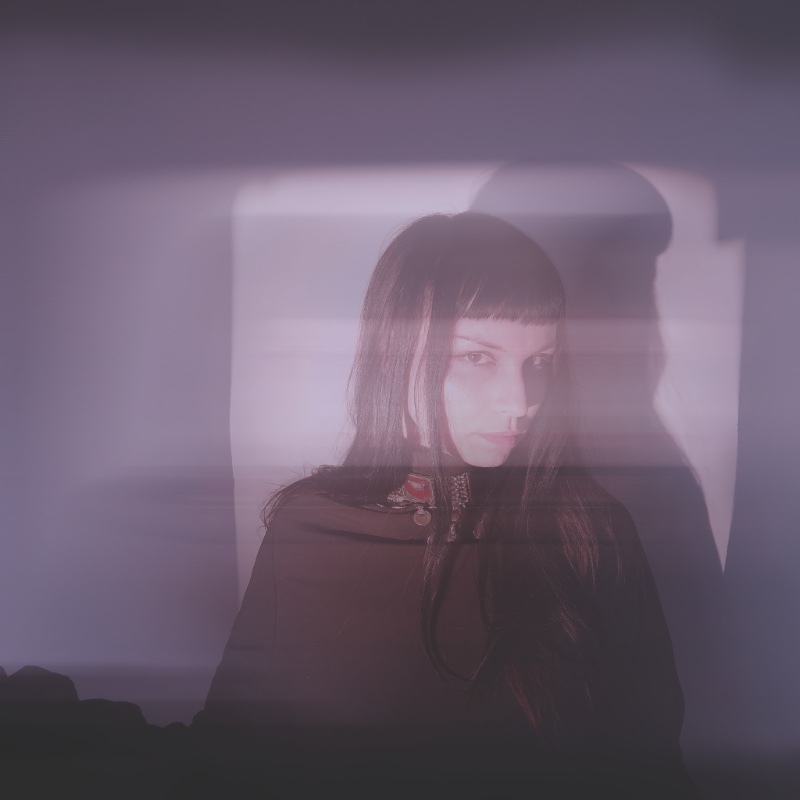 Hilary Woods will release new album 'Colt' on June 8th.